I've been a very lucky girl, as an Easter present mum got me this beautiful Paisley Print Tunic from George at ASDA and I love it. I wasn't sure about it at first till I put it on and it fits perfectly, the only issue is how see-through it is which means I'll wear a vest top under it. This is really cute on you hun! I love paisley patterns. wooo looking sweet babe! !the dress aso make you look fresh! The shirt is beautiful. You look great my dear. You look really, really cute with it!! I like it so much <3 And I like your hair color. I love tunic tops for casula days where I dont need to dress up so much, and they hide my tummy after ive eaten too much lol! This is great! I haven't been to George Asda for clothes in ages. My favourite jeans are from Asda so I know they can do good quality clothes for really cheap. Love tunics with a dropped waist as they look very boho to me. I love it, looking good!! I may have to pop to Asda myself this week! lovely dress!! :) i love the color white especially on summer days. work it gir! ahhh thats the pattern black and white i really love it ..
it's really cute! if only it wasn't so sheer, you can leave out the leggings and wear it as a short dress instead! your mum is really sweet to give you such a cute outfit for easter present. it's really cute! if only it wasn't so sheer, you could have leave out the leggings and wear it as a short dress! your mum is really sweet to give you such a cute outfit as easter present! Lovely outfit. i love the pattern, so cute and chic. i love the very genle and delicate print. it looks so fresh. wait thats from asda? never would have guessed! 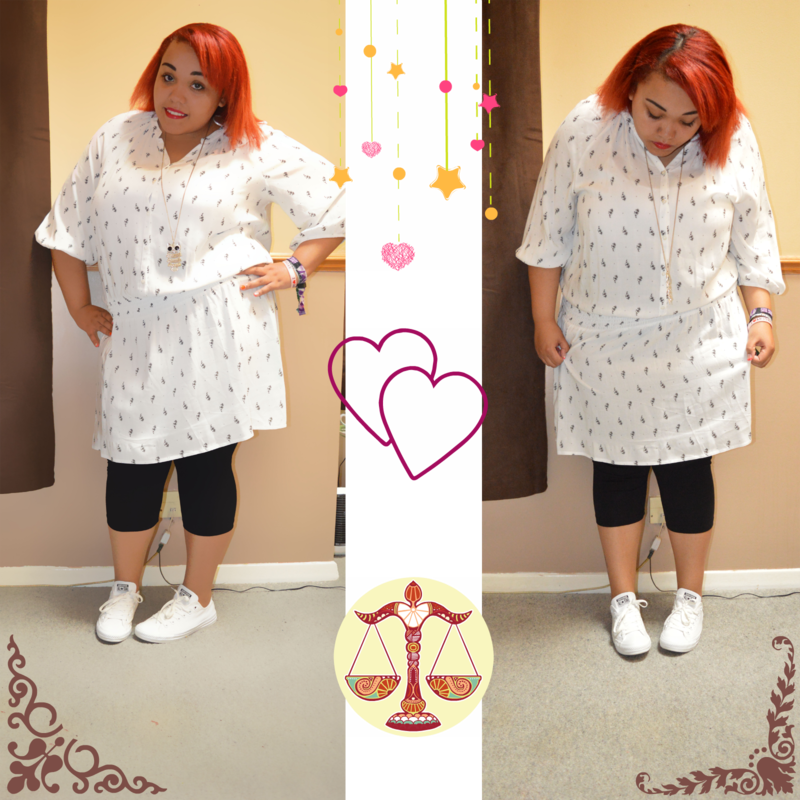 thats a pretty tunic! I like the look of it. It suits you well.